Hidden architectural gems are being uncovered as the hotel works to restore the original 1893 structure. 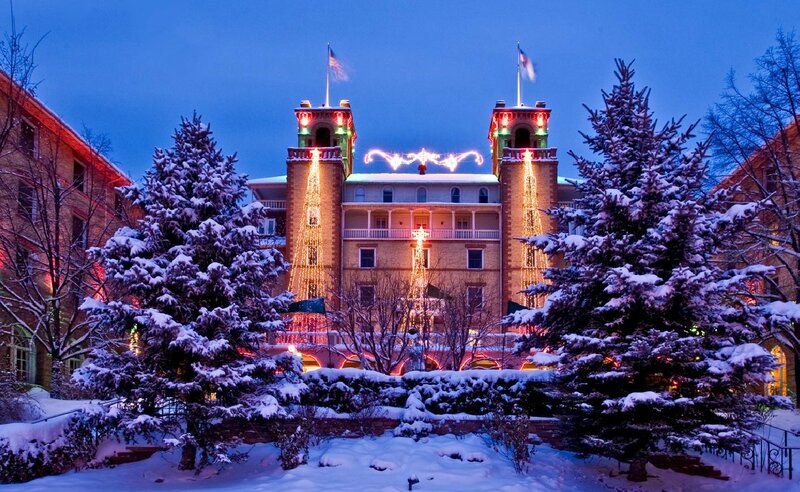 If these walls could talk, the Hotel Colorado in Glenwood Springs would speak volumes. There is no doubt that history has walked the halls of Hotel Colorado for 126 years. Presidents Taft and Roosevelt, Molly Brown, Doc Holliday, mobsters, and more have all stopped by for a stay, many of whom have rooms named after them today. In fact, it is thought that the Teddy Bear was "born" at the Hotel Colorado when staff presented a pieced-together, stuffed bear to President Roosevelt as consolation for an unsuccessful hunt. During World War II, the Navy leased the hotel to use as a hospital for a span of four years. During that time, renovations occurred and many of the hotel's original details were covered in plaster and wood, fireplaces were filled with concrete, and much more. The Melville family purchased the hotel last year, and in January, started to update and restore it to its original glory. "We are trying to bring back all the elements that show the elegance and style of when this hotel was built," Hotel Colorado General Manager Christian Henny said to the Glenwood Springs Post Independent. "The first phase will start the transformation and bring the old girl back to her glory." The official plan is to renovate with as much detail as possible to match the original structure. That includes wood molding and eight-foot-tall walnut doors designed in the same pattern used when the hotel was built. Renovation is currently underway in the Roosevelt, Taft, 1893 and Gallery rooms, and there have already been some impressive architectural finds already. After peeling back layers of plaster and more in the Taft Room, three intact fireplaces and the original flooring was uncovered. 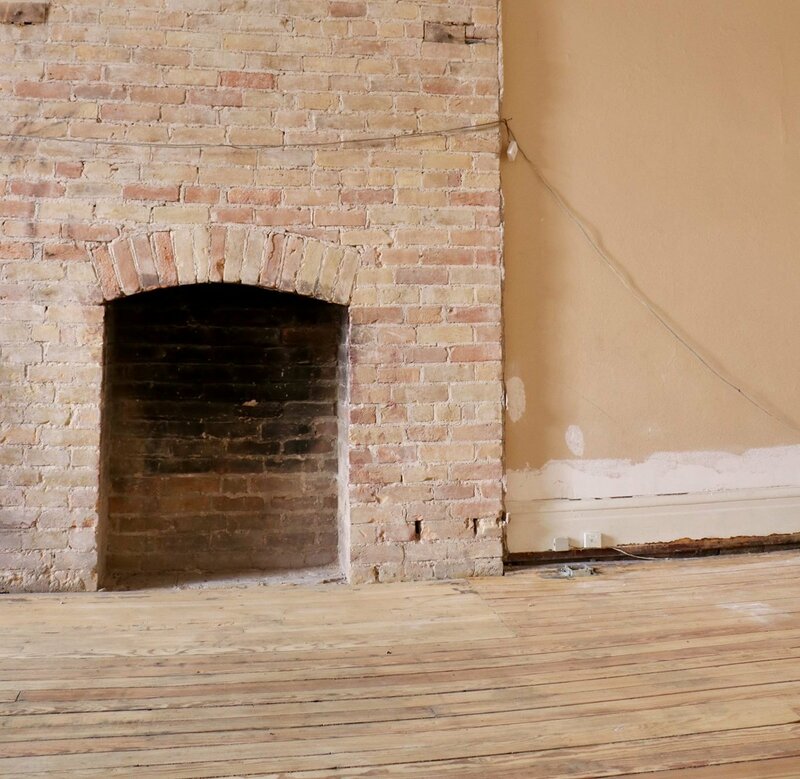 In the Roosevelt Room, crews have found two brick fireplaces, one fully intact, after removing three ceilings, a wall and more that had been added on in prior years. The Gallery room also boasted a hidden fireplace, which the hotel hopes to restore to working order. The others have been filled with cement, but they will still remain in the rooms after renovation. "The fireplaces will remain in the rooms and be showcased as statement pieces and tributes to the history that runs deep through the veins of the hotel," said the hotel's Facebook page. Taft Room renovations revealed a fireplace and original, rare wood floors. Courtesy of Hotel Colorado (Facebook). And no renovation discovery is complete without a hidden door or two! In the 1893 Room, construction uncovered a hidden door that led to a storage room that is divided into three smaller rooms. That door is the only access to that area. Perhaps in one of the biggest surprises was finding the original wood flooring buried under layers and layers of vinyl and carpet. And this isn't just any wood floor. "Along with the fireplace in the Taft Room, we were able to uncover the original Long Leaf Yellow Heart Pine floors, which are now a protected species. These floors are estimated to have been 100 to 200 years old when first installed over 125 years ago and will also be restored and kept in their original place," the hotel relates. This current phase of the renovation project is slated to finish in April, and the second phase will include building a model guest room that guests can leave feedback about. When asked on its Facebook page if the hotel would be bringing back the pool out front, the hotel said, "Not in our plans right now but could be someday." I guess we'll all just have to wait and see what other gems the Hotel Colorado will reveal! What do you think? Have you stayed at the Hotel Colorado? If so, share your experience with us in the comments below. Read more about Doc Holliday and other outlaws of Colorado's past!